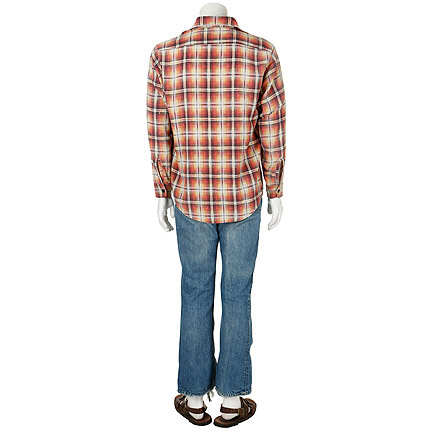 This signature costume was worn by the character “Doc Sportello” portrayed by actor Joaquin Phoenix in the 2014 film “Inherent Vice”, co-starring Josh Brolin, and Owen Wilson The screen matched costume consist of vintage Levi’s blue jeans are faded on the backside and heavily frayed around the left cuff with lighter fraying on the right cuff, multi color plaid flannel button down shirt with one breast patch pocket, and brown leather sandals with an ankle strap and brass rings. 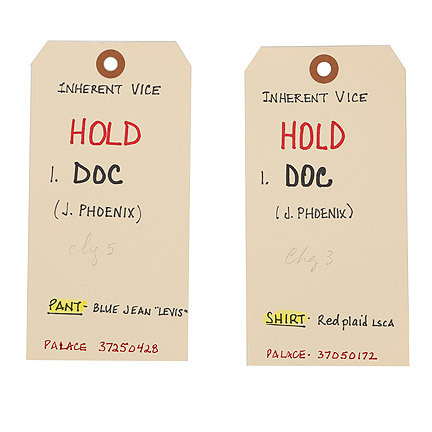 Attached are the production hold tags with “Inherent Vice, HOLD, 1, DOC, (J. Phoenix), Chg 5, PANT, Blue Jean ‘Levis’”; “Inherent Vice, HOLD, 1. 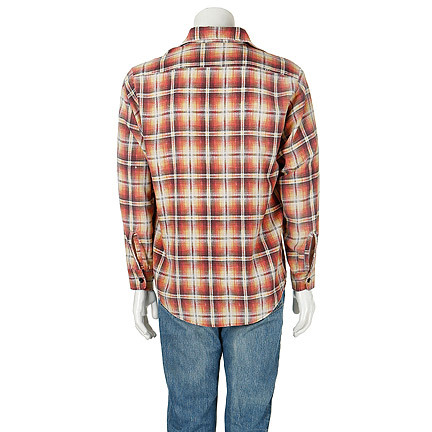 DOC, (J. Phoenix), Chg 3, Shirt, Red Plaid LSCA” handwritten in black ink. 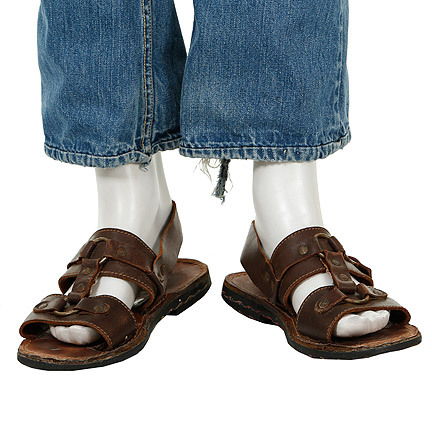 Mr. Phoenix wears the brown leather sandals and jeans when he meets with his girlfriend, “Deputy D.A. 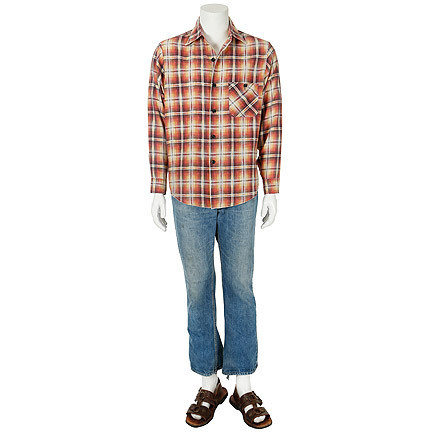 Penny Kimball” (Reese Witherspoon), on a park bench to talk about the missing person’s case Doc is working on. 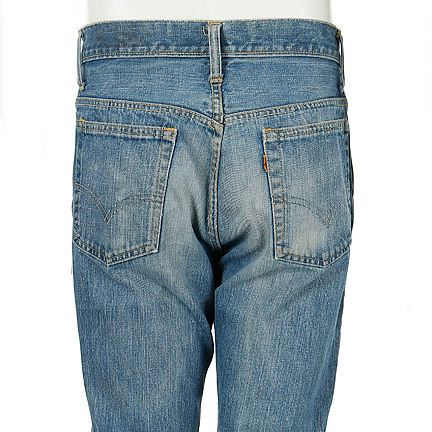 The blue jeans were also worn in the scene when Doc is lying on his office OBGYN table, smoking a joint, and then moments later while walking down the hallway. 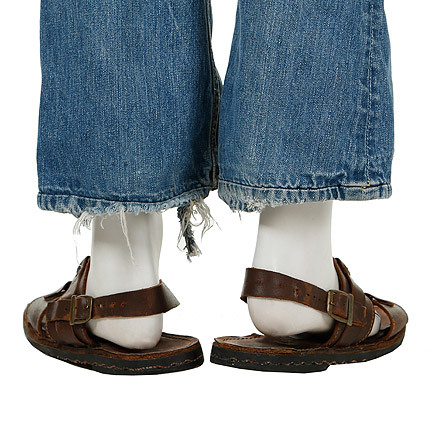 The sandals were worn throughout the film as his signature footwear and were on display at FIDM (Fashion Institute of Design & Marketing) in Los Angeles. 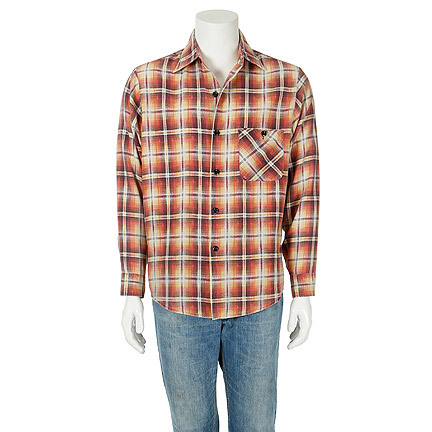 The red flannel shirt was worn when Doc goes to visit “Hope Harlingen” (Jena Malone) at her home to discuss the mysterious case of her husband, "Coy Harlingen" (Owen Wilson), a supposedly-dead saxophonist whom Hope thinks is still alive. 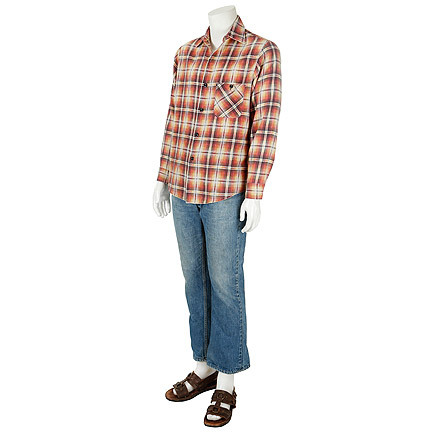 These garments are in good screen worn condition and are accompanied by a letter of authenticity from the costume house.